I wonder where the Quantum Theory cocktail got its name. There’s nothing incomprehensible about this cocktail, and it’s not as mind-blowing as, say, the Zombie. My guess is that it’s the Strega. 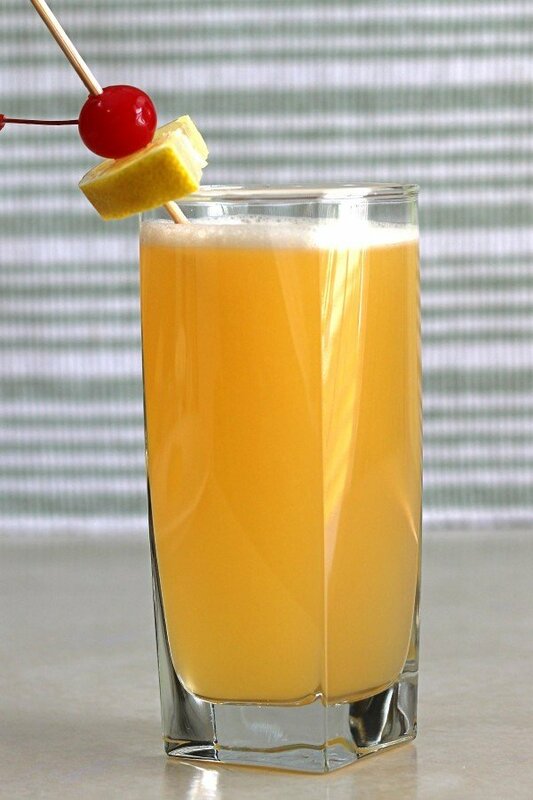 This is an interesting cocktail, blending sweet and sour citrus flavors with rum and orange liqueur by way of Strega herbal liqueur, which acts as a marrying ingredient here. Strega has a strong and rather unusual flavor, with its strongest notes being mint and something between fennel and pine. Blended with the other ingredients, I suppose the overall flavor of this drink could make you feel like you’ve been transported through a wormhole. 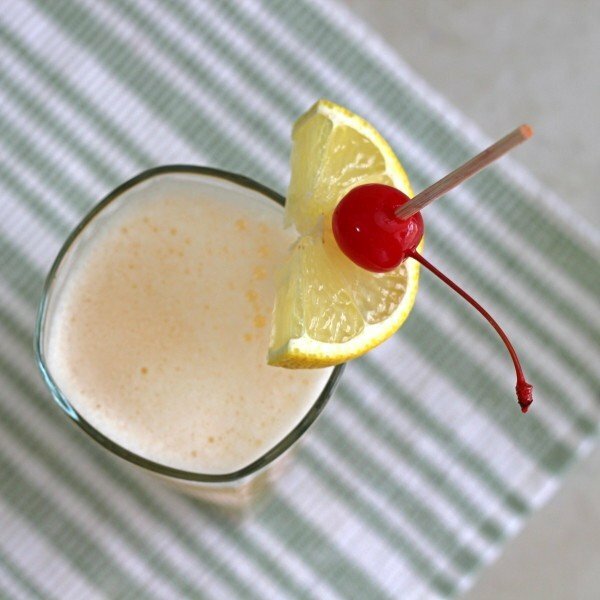 Take a collins glass without ice, and pour the rum, Strega and Grand Marnier into it. Next, pour in the pineapple juice. 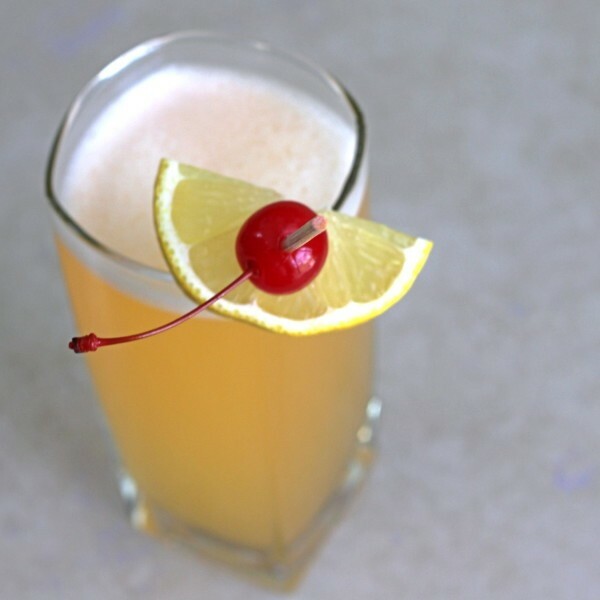 Top it off with sour mix, and garnish with a lemon cherry flag. If I drink alcohol from a hidden container without using any type of measurement, I will not get drunk. If I measure the alcohol in each drink I consume, I will get drunk and ultimately find there there is no alcohol.